Covering North Wales, Mid Wales, Cheshire and Shropshire. We are a family run company based in the Wrexham area. We have over 30 years' experience in the industry and have fifteen employees. Plumbing Services from fitting a tap washer to full installations. No job too big or small and one of our team is dedicated each day to responding to call outs for plumbing repairs and boiler breakdowns meaning we can react quickly to resolve any calls. We install a wide range of Renewable Energy Systems - solar hot water, solar PV (Photo-Voltaic, for electricity generation), ground and air source and biomass systems. 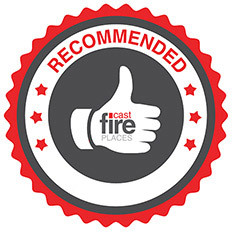 This enables us to provide an honest evaluation of the best system to suit your property and your needs. We pride ourselves on providing an impeccable level of service at reasonable cost. 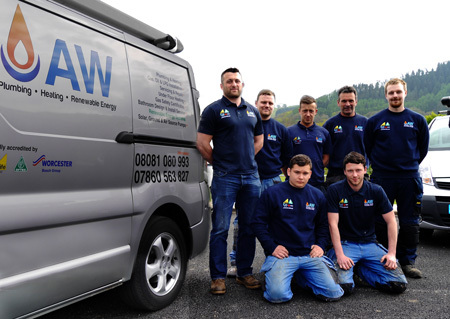 From gas and oil boilers to ground source heat pumps, solar thermal heating to bathrooms, underfloor heating to wood burning stoves, biomass boilers to air source heat pumps to general repairs and maintenance, AW consistently deliver work of outstanding quality, building a reputation that we now believe is second to none. We have deliberately maintained a small company profile, with company directors regularly in attendance on projects, and usually running our installations. That means our considerable expertise and experience is precisely where its needed most - on site. Keeping the business small allows us to provide our clients with a level of personal attention rarely found in larger organisations; time and again, we deliver exceptional quality, value for money and a level of service that often significantly exceeds that of our clients' expectations. We are large enough to cope and small enough to care..
We provide free evaluations and always give an honest opinion of the best solution to achieve your requirements. 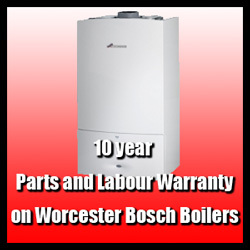 For example, if a boiler repair is viable and more economical than a replacement boiler we will tell you. We are registered with GasSafe, HETAS and OFTEC for natural gas, oil, LPG and solid fuel installation, service and repair. We are also MCS accredited, which means we can access funding for our customers to fit renewable energy systems in their homes. 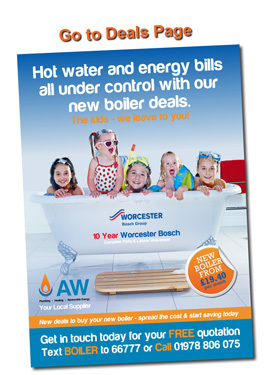 We are accredited installers for Worcester Bosch (Gas and oil boilers, underfloor heating, solar and ground source heat pumps), Mitsubishi Ecodan (Air source heat pumps) and ETA (Biomass), offering extended warranties on all their products. Regardless of size or status, if you have a plumbing, heating or renewable project,, we would be delighted to discuss it with you. Call us on 01978 806075 for advice or to discuss your requirements. Alternatively, complete an enquiry form and we will get in touch with you as soon as possible.